Did you know that you have 30 ancestors on a five generation pedigree chart? Here are the stats: 2 parents, 4 grandparents, 8 great-grandparents and 16 second great-grandparents. That surely will give you a good start in identifying which ancestor to write about. 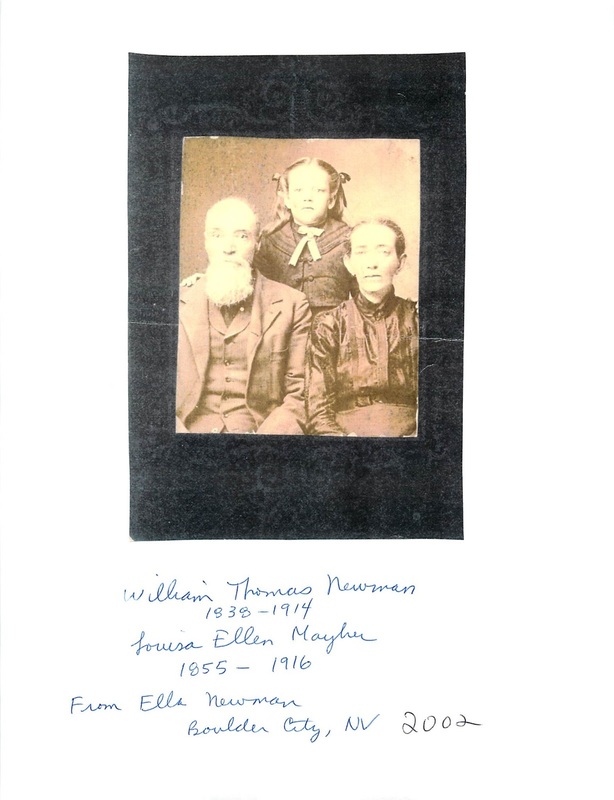 While pondering my 5 generation pedigree chart, I was reminded that my fab find of the week was an obituary for my second great-grandfather, William Thomas Newman. and Catherine Nelson. Frank Mayher was the stepfather of Louisa J. Fowler. photocopy images of William Thomas Newman and his wife, Louisa Joyce Fowler. Have you found obituaries and pictures for everyone on your five generation pedigree chart? I have most of mine but I am still searching for a few. Check the websites of the public libraries in the vicinity of where your ancestor died. Read the website and contact them to see what their policy is for providing obituaries. I have found most public libraries to be very helpful in providing obituaries and most do it for free! 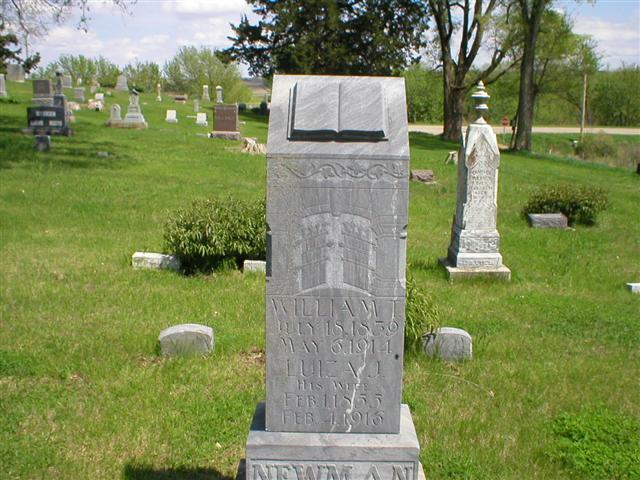 Perhaps you will get lucky and find that they have put their newspapers online like they did in Onawa, Iowa! 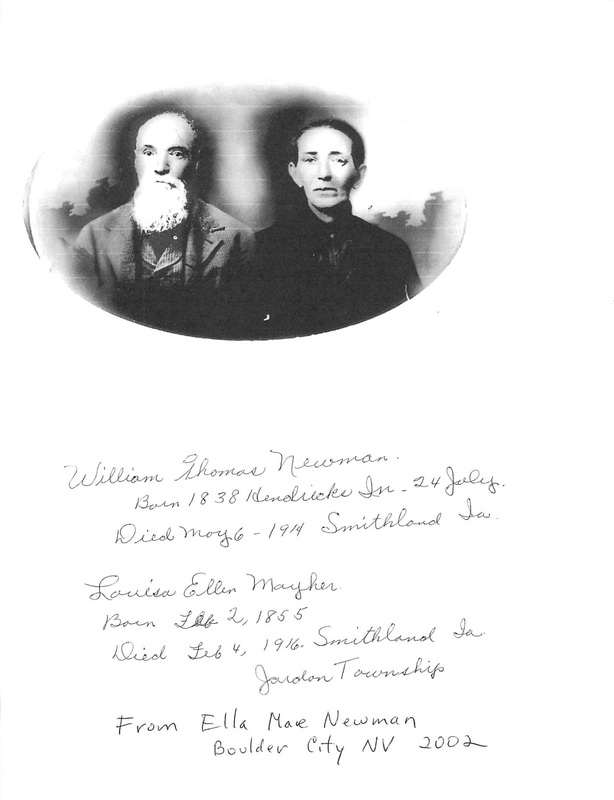 Now I have to make a pilgrimage to the Smithland Cemetery and pay my respects to my second great-grandfather, William Thomas Newman.